SFGN will be holding its 9th Anniversary Party, along with community awards celebration, this Wednesday, Jan. 24, hosted by The Grille On The Drive. “In this era of fake news, it’s important to celebrate real news and so I want to personally invite the community to join us in celebrating our 9th anniversary,” said Publisher Norm Kent. Guests will come inside to the cabaret to meet the publisher, staff members, and the writers for SFGN, The Mirror Magazine, and The Guide. Enjoy a price-fixed menu for a relaxing dinner with a cash bar, as well as free hors’ d'oeuvres. 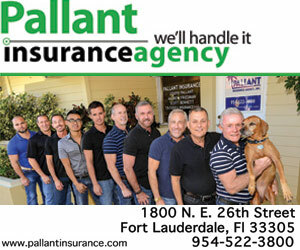 The event will be from 5 to 8 P.M. at The Grille On The Drive, 2000 Wilton Dr, Wilton Manors, FL 33305.